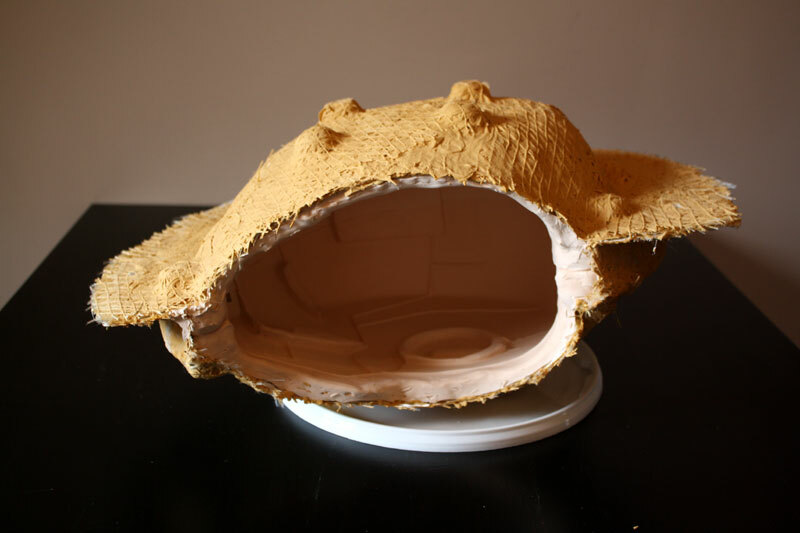 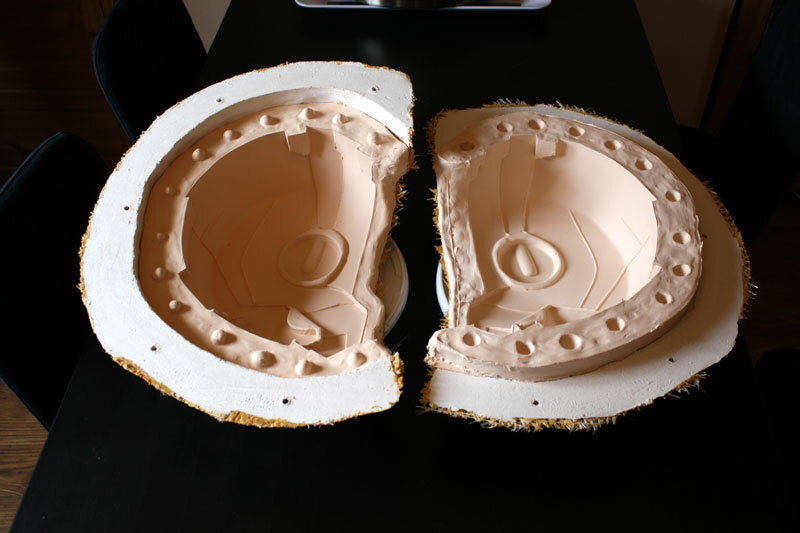 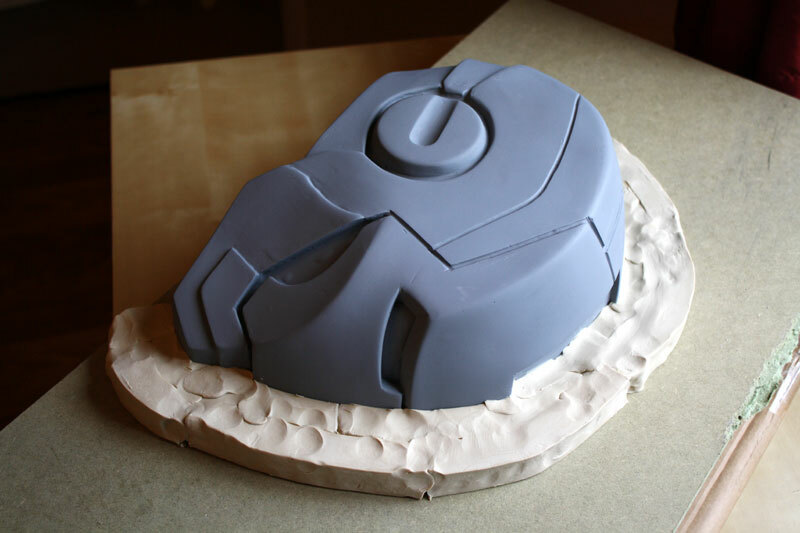 This page is about remoulding the helmet, check out the main project index for the rest. 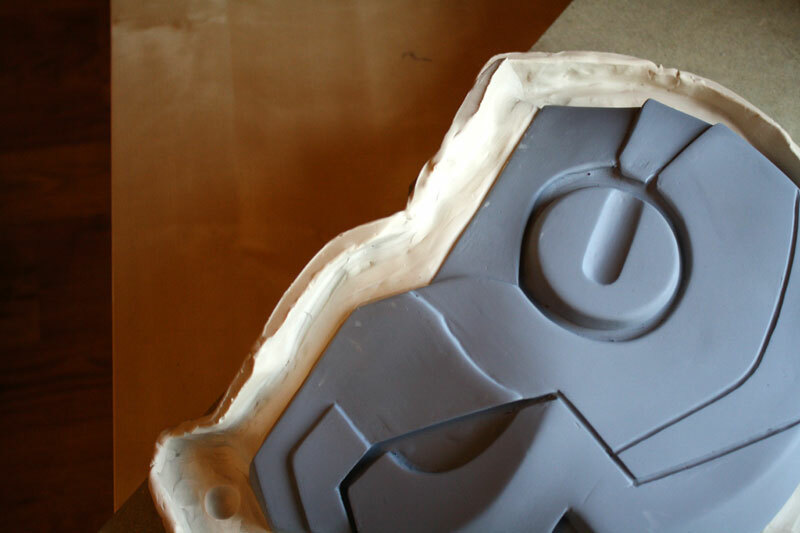 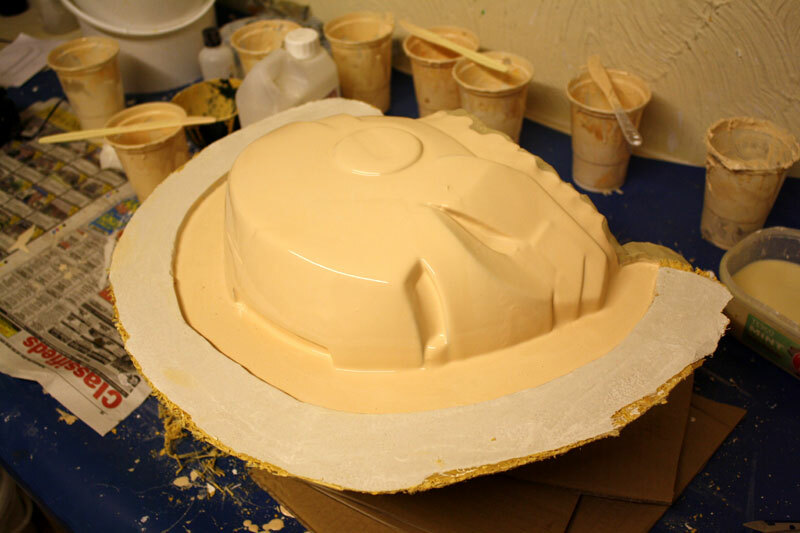 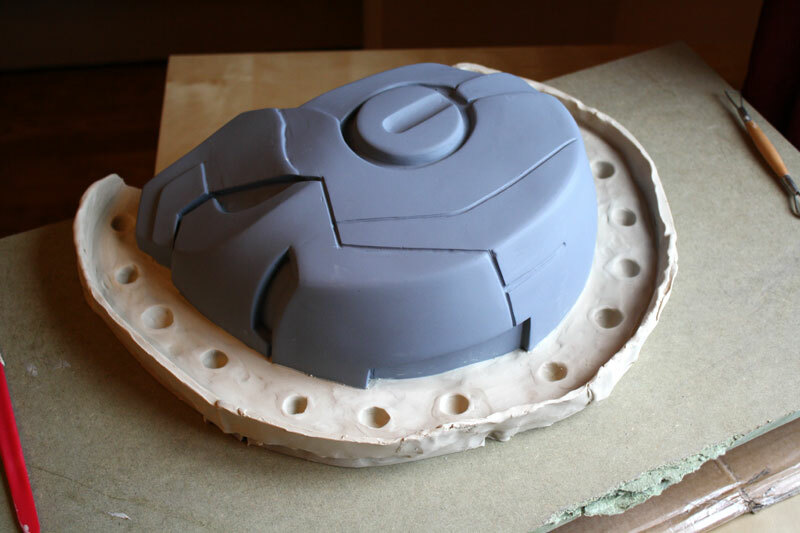 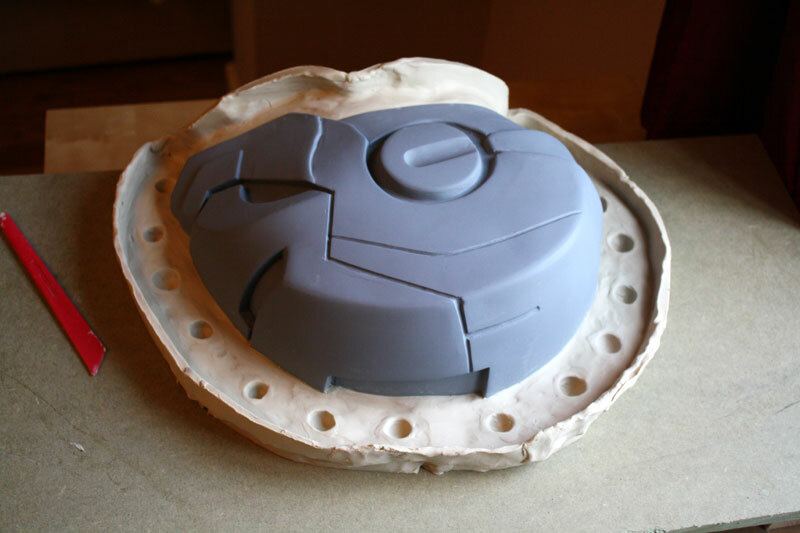 Once I had cleaned up the original helmet I made a new mould from it. 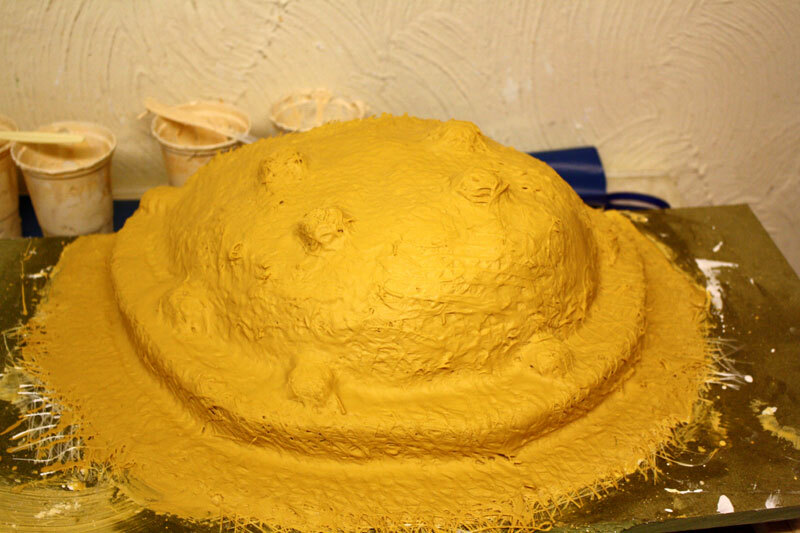 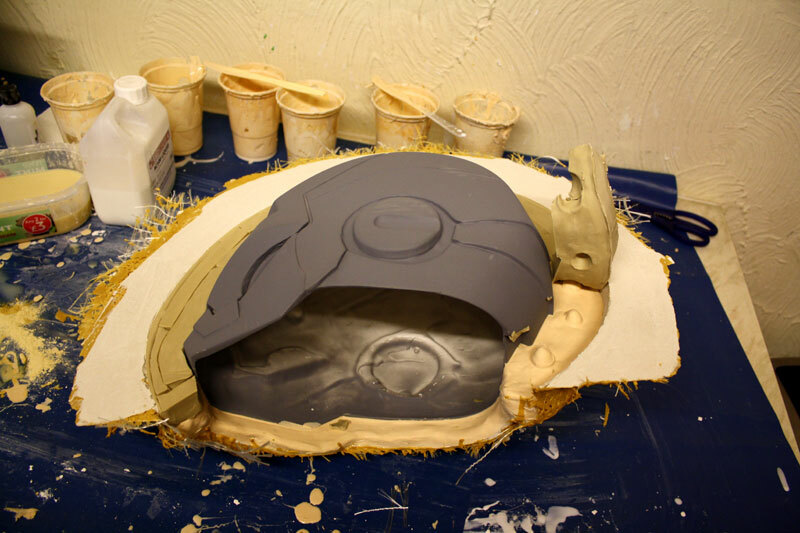 This is so I could make new casts of the helmet to make new variations without going through the whole clean up process every time. 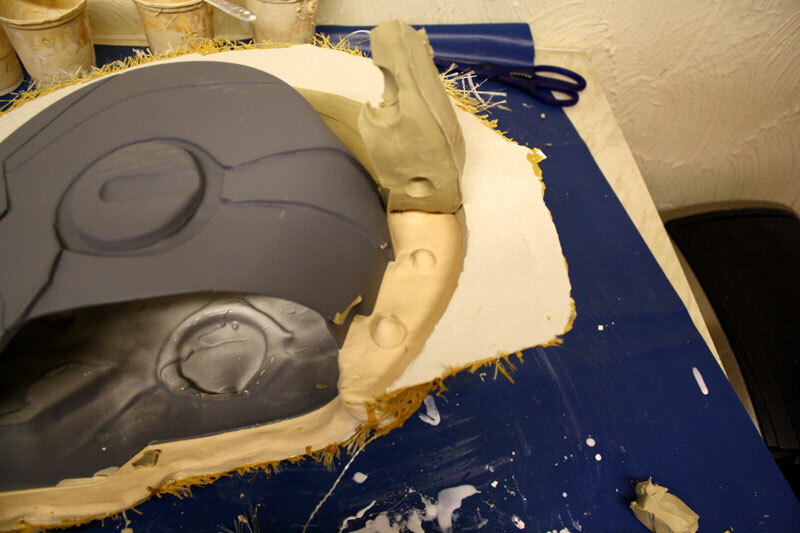 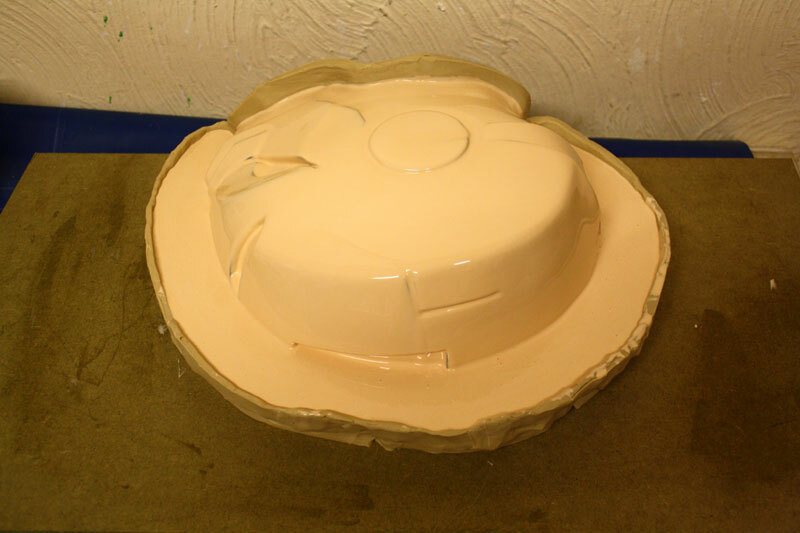 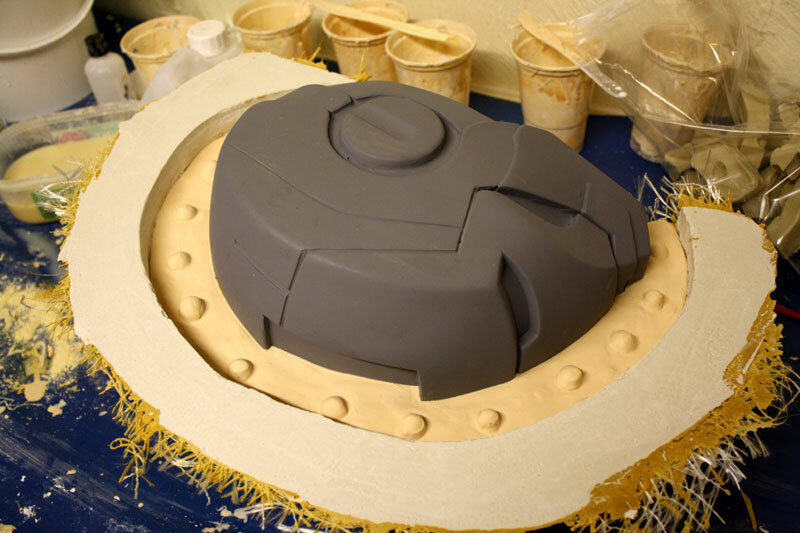 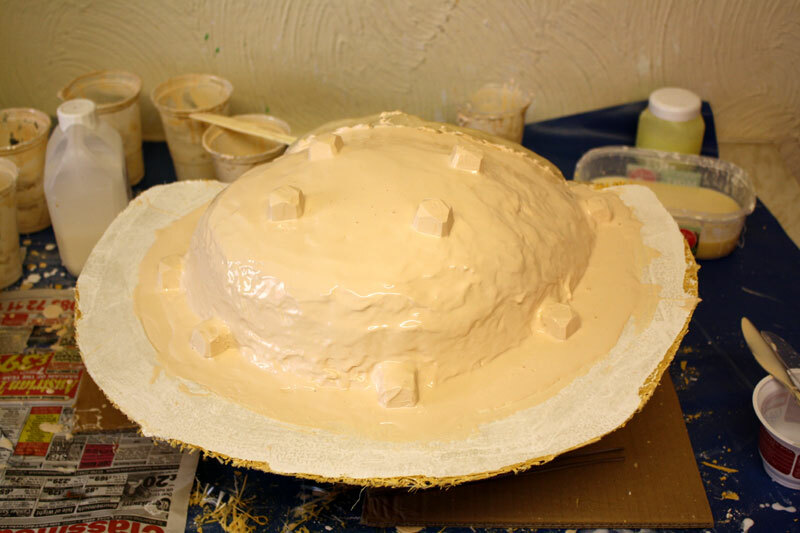 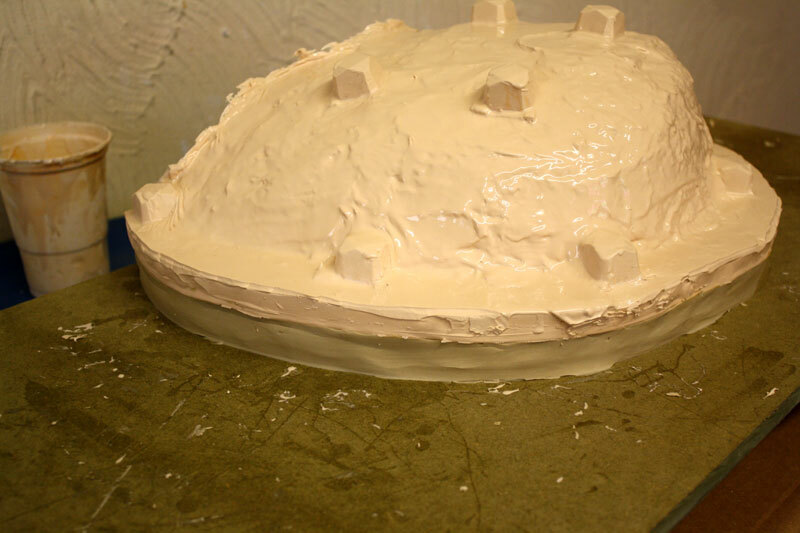 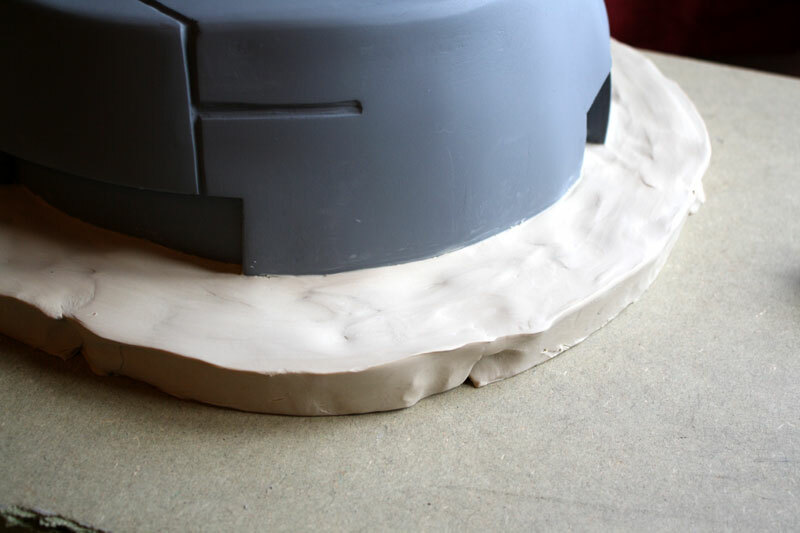 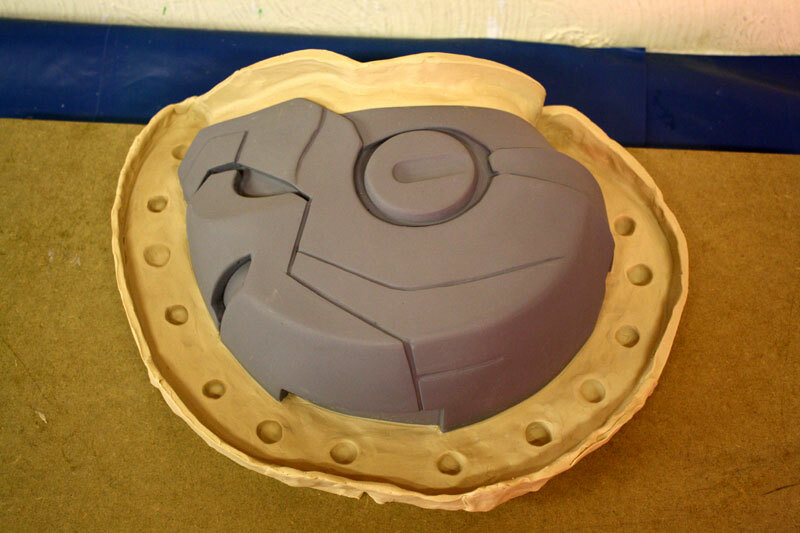 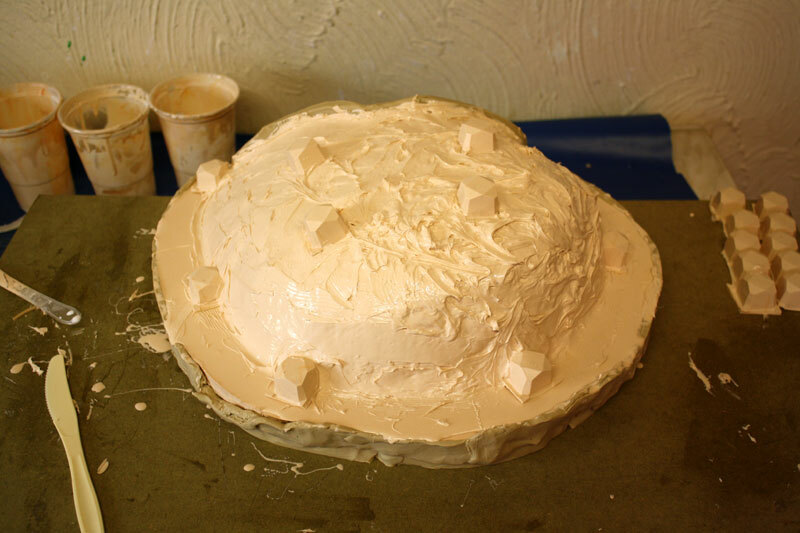 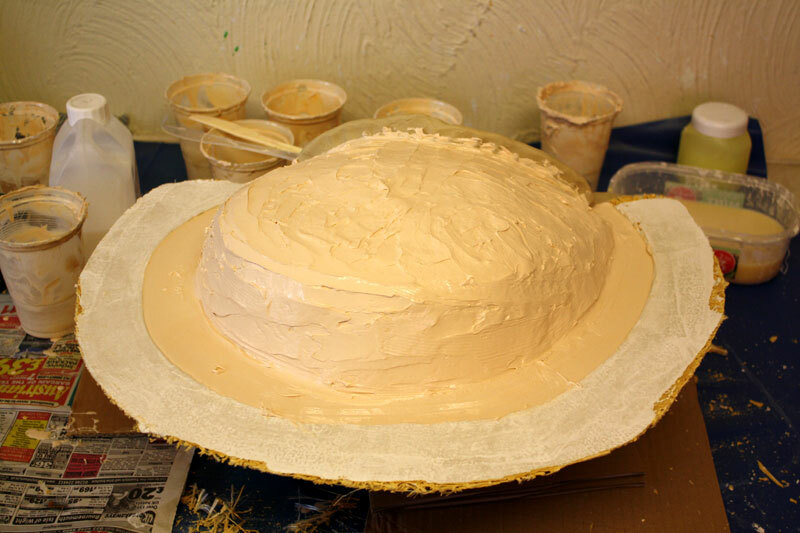 The original mould was quite simple, but this version is split into two halves to allow fibreglassing, and easier cast removal. 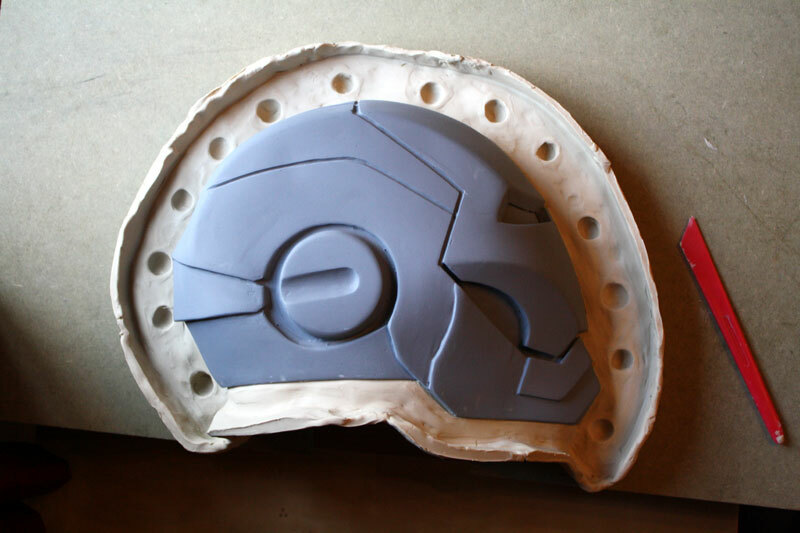 Firstly I divided the helmet into two using a piece of wood and some clay. 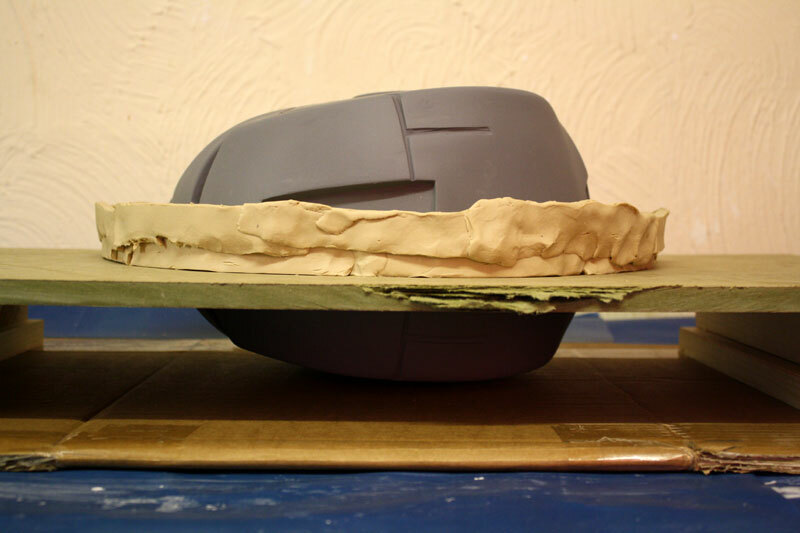 I’ve made a channel around the edge with holes in which will eventually be my keyed edge of one half of the mould.